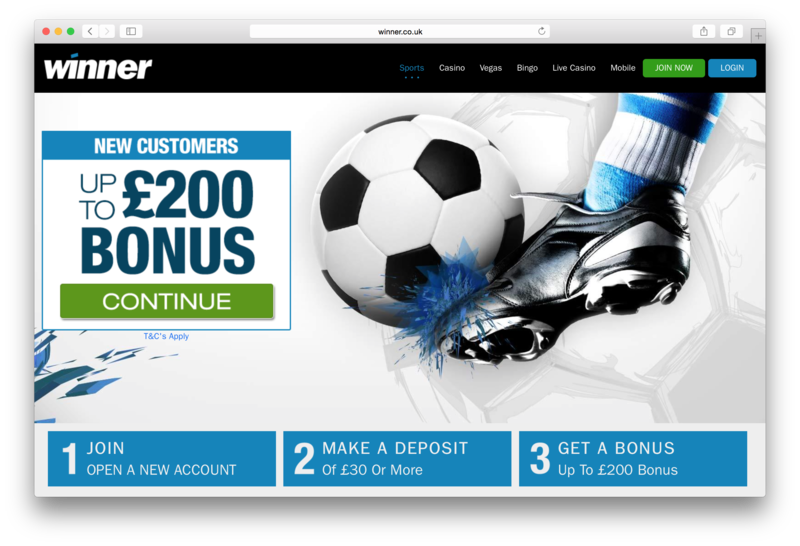 Open your new account today at Winner and get your £200 free bet when you deposit and bet upto £200. 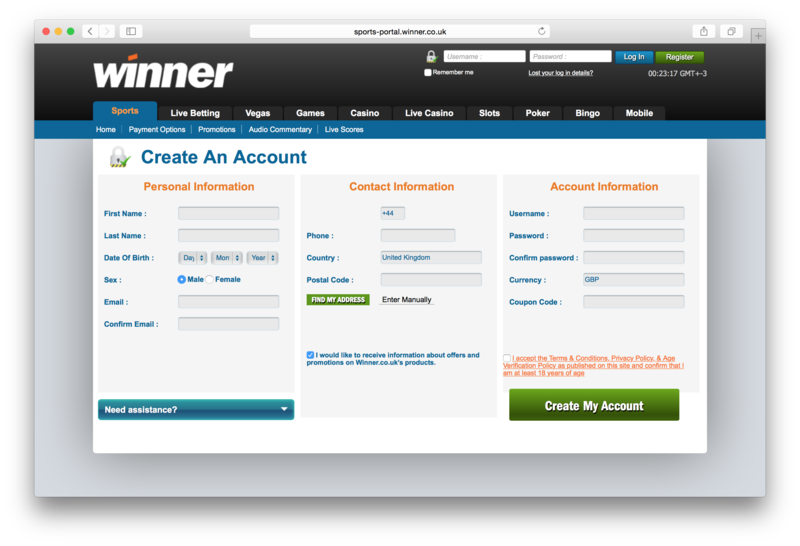 You must be aged over 18 to open a Winner betting account. Free bet promotion open to UK & Ireland residents only. T&C's apply. You must be aged over 18 to open a Winner Sports betting account. Looks like Winner Sports isn't promoting any special offers, right now. Check back soon! Cant fault the £200 I got free from WINNER, they will be regretting it when Arsenal win the title :) Go Gunners Go!!!!!!!! 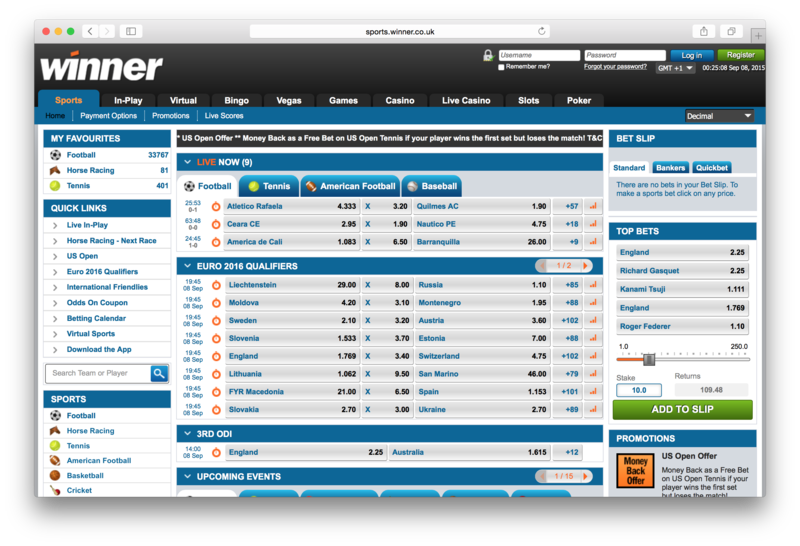 Sign up was quick and easy, matched free bet worked as expected, nice site too. Have enjoyed using Winner this year and find myself placing most of my bets with them these days. Had lost over a grand yesterday and today they call me to offer me a FREEBET to make another deposit. So I asked the girl to give me a small Freebet on the house and she told me I have not lost enough yet. When she said that she pissed me off. So I have now closed my account and dont ever plan to bet there again. DONT BET WITH WINNER unless you are losing over 10K a month they dont care about you. it is a great offer but it is one of the betting offers than require rollover requirements which means you to stake again and again just to make your winnings available, if you are in no rush for the winnings and are going to use the site daily then this should not be a problem for you. I had never thought of using Winner before this free bet. However I have since used it many a time as they offer really goods on markets and in plays. They offer one of the best prices around. 10/10 Recommend.